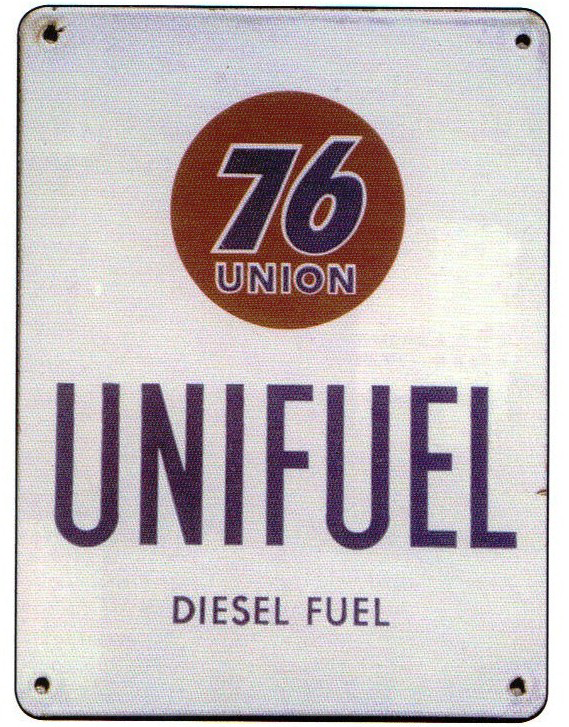 This is a square 76 Union Unifuel porcelain sign. This particular 76 Union fuel sign is predominantly white with purple text. It reads, “76 Union Unifuel Diesel Fuel”, and has no other design.